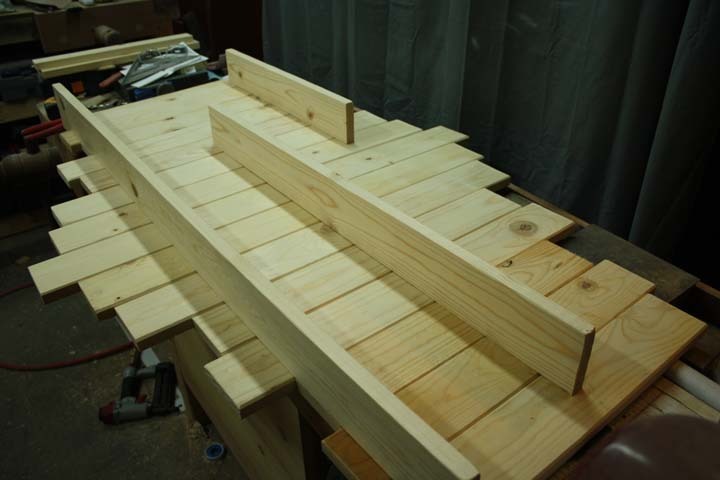 This step by step tutorial explains the process of making an easy DIY pallet wood shelf. The process is fairly straight forward, and you can modify the dimensions to suit your specific needs. 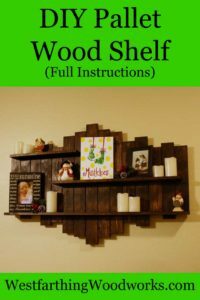 However, if you want to make the exact pallet wood shelf you see in the pictures, then all you need to do is follow along. The overall dimensions of the project are 34 inches tall at the tallest point, and 18 inches tall at the shortest. The width of the pallet wood shelf is 52 inches, and there are three shelves on the piece. The longest is 52 inches, then a 35 inch middle shelf and a 21 inch top shelf. Again, you can adjust these dimensions if you like. The best part about this pallet shelf is that the wood cost is very low. 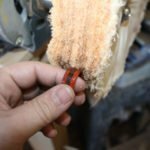 If you already have the stain and lacquer in the shop, then you will have a total cost of less than $20. Even if you need to buy stain and something for a clear coat, the project will still come in under $30. 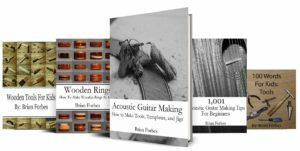 On top of that, you will have finishing materials left over for future projects. Here is the pallet wood shelf layout, and how to arrange the boards. The numbers listed on the picture are the lengths of the boards. These are all cut from Pine, measuring 3-1/2 inches wide. First, cut all of your boards to length using a miter saw or a hand saw. 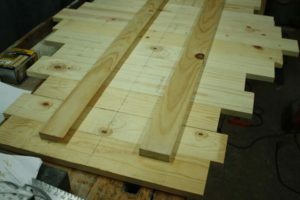 Then, look for the best looking side of each board and lay it face down on the work bench. Pick up each piece one at a time and draw a center line horizontally in the middle of each board. 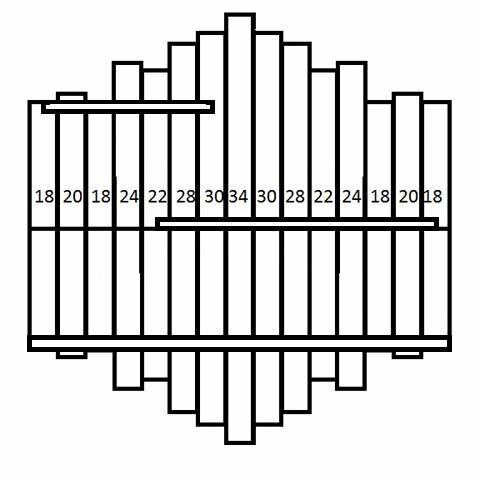 This line is used to arrange the pieces so they are straight before securing them. Once you have all of your boards laid out, square them up, and make sure that your center lines are even. Look at the piece from a distance and make sure that it looks straight. Make any adjustments necessary, and then proceed to the next step. A french cleat is a very strong way to attach something to a wall. The diagram on the left shows the basic workings of the design. 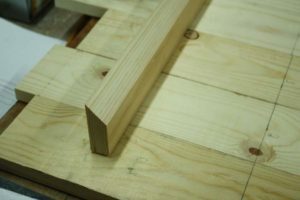 This wall hanging method involves a long piece on the back of the pallet wood shelf that has a 45 degree miter running along the length. On the wall, there is a second long board with complimentary miter. 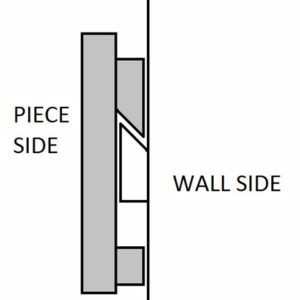 When you hang the pallet shelf on the wall, gravity pulls the piece tight to the wall as the two 45 degree bevels side into each other. If you are ever planning on attaching something with some weight to a wall, a french cleat is a great option. The wall side will allow you the opportunity to secure the board to a couple wall studs. Depending on how you do this, with wood screws or lag bolts, you can really hang something securely with a small amount of effort. 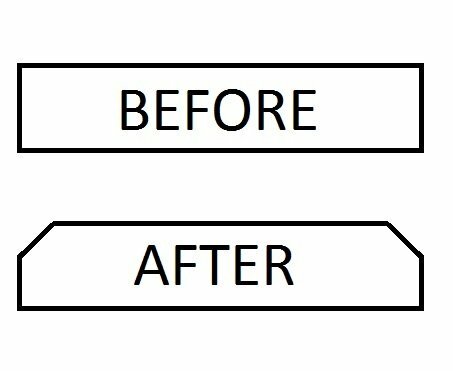 In order to increase the depth of the pallet look, the edges need to be beveled. 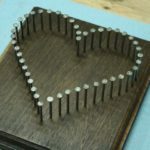 This can be done on a router table, with a hand router, or with a file. On the two long sides of each board, bevel both of them, leaving a 3/16 inch flat. The more you bevel them, the deeper the look will be. However, do not go much farther than a 1/4 inch flat, otherwise it can be a little too much. The picture shows the view from the ends of the boards. Bevel all of the long edges on all of the pieces, making sure that you are putting the bevel on the side that will be seen. Look at your piece before you add the bevel, and make sure that you do not see your centering line. This was drawn on the bad side of the board, and will end up on the back of the piece. The beauty of the french cleat is that it will serve a dual purpose on the pallet shelf. 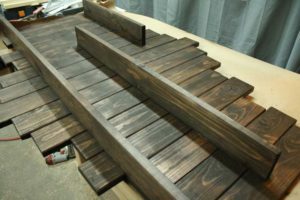 Normally, the wooden slats would need to be glued and secured to a long board. In this case, you get to secure the pieces and install your hanging method at the same time. Cut a board that measures 50 inches long, and 2-1/2 inches wide. Then, use a table saw or band saw to cut a 45 degree bevel along one of the long edges. This will be the top side of the french cleat that will hold the pallet wood sign to the wall. Place it in between the center line and the top of the 18 inch board, with the bevel facing down. The top board (left hand facing in the picture) has a 45 degree bevel on the bottom side, and the bottom board is just another long board of the same thickness. This keeps the pallet shelf from tipping forward on the wall. For this board, cut another piece of the same size, but do not bevel the edge. Place it in the middle of the center line and the bottom of the 18 inch end boards like you see in the picture. It’s not super important where you place the boards, just get them centered well. The reason they are glued where they are is because they will not cover the shelves on the front side. It will be easier to nail them and screw them without the cleat in the way. Make sure they are level, and you will be fine. Now, spread glue behind the boards one at a time, and use a brad nail gun to secure it to every board. Afterwards, you can also add small wood screws into each board to ensure that the pieces will stay together well. Once both boards are secured, turn over the pallet shelf. Attaching the shelves is a simple matter of marking them out, and then gluing and nailing them in place. After they have been secured, screw them in place from the back side using wood screws. The bottom 52 inch shelf is the easiest, as it goes the full length of the piece. Line up the bottom of the shelf with the bottoms of the 18 inch long pieces, and glue/nail it. Then, fire a few screws through the back side after pre-drilling, which will make the shelf stronger. After that, switch to the middle shelf, and then the top shelf. The middle shelf sits right on top of the center line, and begins in the middle of the right most board. The top shelf is flush with the top of the 18 inch boards, and starts from the middle of the left most board. A homemade pallet wood shelf can be finished any way you like. My wife wanted a darker color, so I used the Kona stain by Rustoleum. Sand any areas that need attention first, then wipe off any sawdust. Break any sharp edges and corners, and be sure that any really rough areas are taken care of. 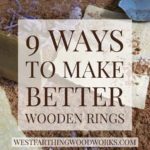 If you prefer a more rustic look, leave the defects in place. The beauty of this Rustoleum stain is that dries in an hour, and it also works like a gel stain. It allows you to coat the surface, then wipe it back from areas that you want to lighten. 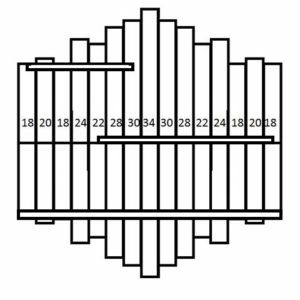 The amount of variation on your pallet wood shelf is up to you. Apply the stain, and wipe it back as you go. Work on sections at a time, and use a brush to get into the cracks and crevices. Make sure not to leave excess stain on the surface very long, otherwise it can be hard to blend into the surrounding area. I left excess stain in the bevels between the slats, which made them darker. After you stain the piece, allow it to dry according to the recommendations from the maker, or longer if possible. Then, apply a clear top coat. This can be lacquer, or polyurethane, just check for what is compatible with your stain. In this case, I used satin lacquer. Allow the piece to dry and air out for a day or two, which will reduce the smell. To hang your shelf, cut another board the same size as your beveled piece for the french cleat. 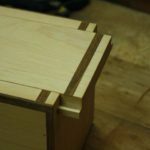 Cut the bevel on the saw, and grab a stud finder, screws, and a drill. 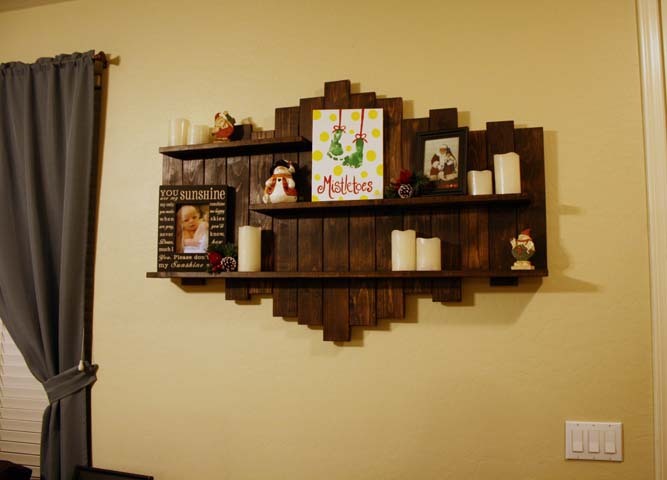 Position your pallet shelf on the wall, and make a mark for the top of the piece. Then, measure down to your cleat on the back side, and this is where you will mount the other cleat on the wall. Use the stud finder to find a couple studs, making sure to find at least two. Drill through the cleat for screw clearance, and using a level, attach the cleat to the wall. Make sure to sink the screw heads into the board slightly, so that they don’t protrude. Also, make sure to use long enough screws or lag bolts that you bite deep enough into the stud for security. Make sure your cleat is secure, then hang your pallet shelf by sliding the cleats together. 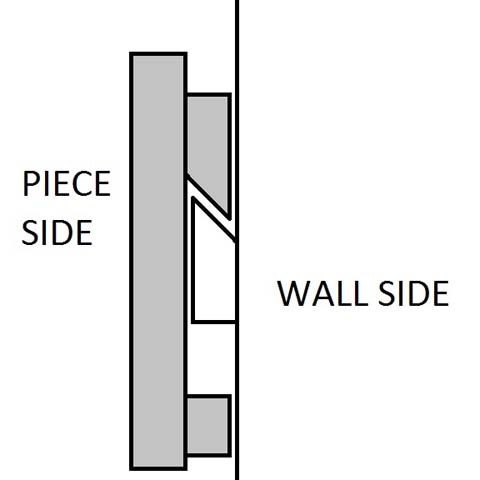 The piece will lock down well, and should seat fully into the cleat on the wall. Check for level, and you can always slide a piece of folded paper in between the cleats on one side if you need to adjust the level. Lastly, be careful adjusting the level. If you only have to make a small adjustment, then it’s fine to use paper. If you need to make a very large adjustment that pulls the cleats apart quite a bit, then it’s best to move the cleat on the wall. If you have any questions on my DIY Pallet Wood Shelf, please leave a comment and I will be glad to answer them. Also, please share my work with your friends on Pinterest! 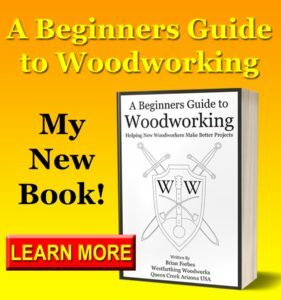 Also, if you like my tutorials and woodworking tips, please subscribe to my newsletter and I will keep you updated on what’s going on at Westfarthing Woodworks. Happy Building! 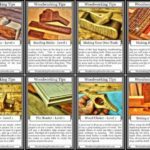 Amazing design and a great tutorial – thank you for sharing! My only comment/observation from the pictures is I wonder where you get your pallets – the wood looks so new and planed. The ones we have here have fairly rough surfaces. I’ll be spending some time sanding each of the boards down prior to staining. Thank you for the comment Maynak. “Pallet Wood” is more a reference to the style than the actual pieces of wood that are used. The pieces in the pictures came from a hardware store, which is why they are nice and clean. You can do the same thing to wood from an actual pallet, but it just takes more time and tooling. Depending on your personal style, you can make the project with really interesting and distressed pieces, or you can make it from cleaner pieces like I did. I have seen some really great looking pallet style wall hangers made from some of the most distressed wood imaginable. They looked amazing, and it made the piece look very old. 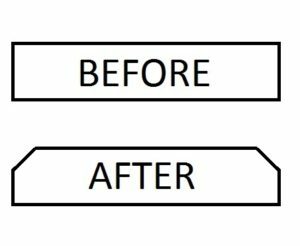 Either way, as long as you make the project from thinner sticks of wood, you can create the “pallet” look from brand new boards or from old boards. Thank you again, and if you have any questions on the build please feel free to email me and I will help you out. Happy building!